A vineyard and observation post set up in memory of 2 IDF soldiers killed in Lebanon are now ordered destroyed by Supreme Court. In the Netiv Ha'avot neighborhood in the Gush Etzion town of Elazar, a vineyard was planted several years ago in memory of two IDF soldiers who died in Lebanon: First Lieutenant Ezra Asher and Lieutenant Colonel Emmanuel Moreno. 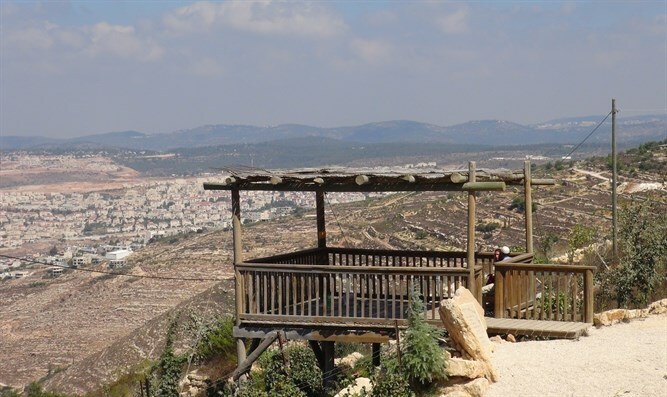 Above the vineyard, an observation post was built in order to serve as a rest spot for hikers walking along the "Derech Ha'avot" (path of the Patriarchs) path that passes right below the vineyard. A copse of trees was planted adjacent to the vineyard as another resting spot for visitors. The memorial site was established by Meni Gertler, a resident of the Netiv Ha'avot neighborhood, who also regularly maintains it. However, the observation post and the entire memorial site are now in danger of demolition, following last week's Supreme Court ruling that includes these structures in those slated for destruction. The observation post that was built in memory of the fallen soldiers is to be demolished within the next few months, by the end of 2016, according to the ruling.